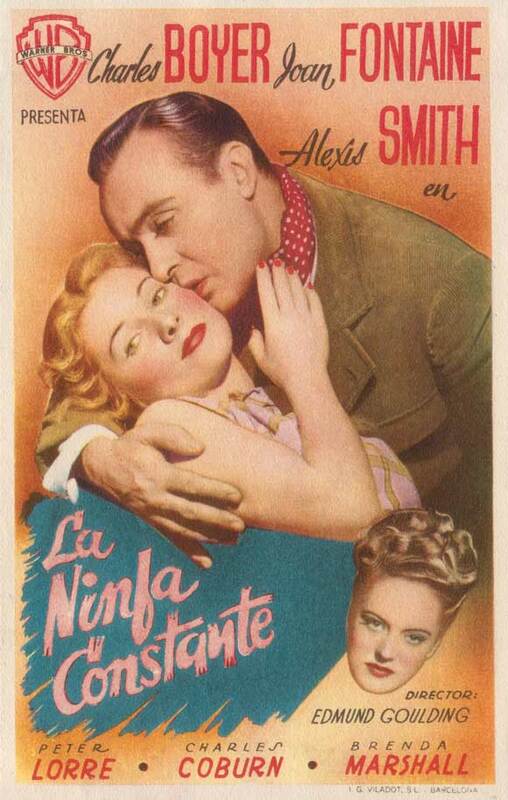 THE CONSTANT NYMPH, a beautifully realized romance starring Joan Fontaine and Charles Boyer, is perhaps best known today for the unfortunate reason that decades of legal issues have prevented this fine film from being widely seen. Although it's occasionally been screened in theaters, such as a 2007 tribute to composer Erich Wolfgang Korngold at the University of Southern California, the movie has not been shown on TV or been available on home video and DVD. However, it appears the situation is about to change. According to the Warner Archive Facebook page, "...we can't really believe it ourselves, but The Nymph will soon be flying out of her Burbsnk [sic] cage....The rights issues have just been resolved!" That is grand news indeed. In addition, attendees at the TCM Festival this spring will be able to see the film there. I have a feeling it will be a sold-out audience! In the meantime, I was fortunate to be able to see this film on DVD-R thanks to a very thoughtful friend. I've long wanted to see this film, which has quite a cast, and it was as special as I'd hoped. 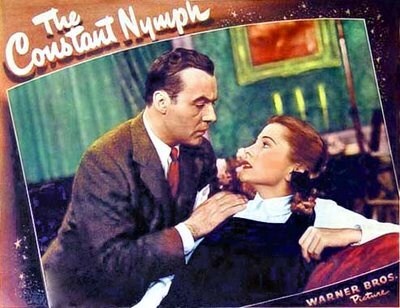 THE CONSTANT NYMPH is based on a novel by Margaret Kennedy, who also cowrote a play with Basil Dean; screenwriter Kathryn Scola based the film upon both the book and the play. The story opens with a depiction of the Bohemian lifestyle in an Alpine chalet of elderly musician Albert Sanger (Montagu Love) and his patchwork family of children by several wives: responsible Kate (Jean Muir), romantic Toni (Brenda Marshall), and the youngest sisters, who are in their mid-teens: sensitive, sickly Tessa (Joan Fontaine) and sweet, helpful Paula (Joyce Reynolds). The arrival of Lewis Dodd (Charles Boyer), a musician who is a beloved family friend, is the cause of joy and celebration. Alas, the happiness is short-lived, as Papa Sanger dies soon after Lewis arrives. 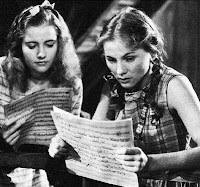 The eldest half-sisters can fend for themselves -- indeed, Toni soon marries wealthy Fritz (Peter Lorre) -- but Tessa and Paula are penniless and in need of a guardian. A wealthy cousin, Florence (Alexis Smith), soon takes the girls under her wing -- and Florence also quickly marries Lewis, who is oblivious to the nature of Tessa's devoted love. From this point all manner of complications ensue. The first third or so of the film, depicting the family of barefoot musicians, is quite original and unique. It should perhaps be mentioned that a drawback is that these Alpine scenes were very clearly filmed on a soundstage; however, I wonder if perhaps the unrealistic look adds in some measure to the film's otherwordly quality. I was awestruck by Fontaine's entirely believable depiction of a fragile but high-spirited 15-year-old. Watching her skipping along, putting a ribbon in her hair, pulling it out again...it's all quite natural and is really a remarkable performance. In fact, the role netted Fontaine her third Best Actress nomination in a three-year period. She had been nominated for REBECCA (1940) and won for SUSPICION (1941). In 2007 Moira Finnie wrote an excellent profile of Fontaine for TCM's Movie Morlocks blog, which included these thoughts: "Fontaine's Tessa is endearingly fey, blissfully and enthusiastically unaware of her wild hair or ragamuffin appearance and full of tenderly expressed, unrequited love for Boyer. The only other actress who even came close to this kind of unself-conscious abandon to the world's expectations, (and certainly to Hollywood's expectations), might possibly be Audrey Hepburn in a very different film, Roman Holiday." She also quotes Fontaine as saying the film was "the happiest motion-picture assignment of [her] career." 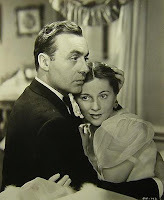 Charles Boyer manages to make a very self-absorbed character sympathetic, despite the fact that he marries in haste and then makes his loving wife suffer as he repents at leisure. The middle third or so of the film is a bit too full of marital sturm und drang, as Lewis and Florence work hard to get on each other's nerves, which is a letdown after the magic of the opening scenes. The film rebounds in the final third as relationships are clarified and Lewis's composition is performed. The beautiful Korngold score is a critical component in the film's success. Alexis Smith is quite fine as Florence, managing to make her simultaneously attractive, annoying, and sympathetic as Lewis's confused and frustrated wife. I was especially taken with the charming performance by Joyce Reynolds as Fontaine's little sister. Jean Muir is unfortunately relegated to the background as the dutiful eldest sister. Brenda Marshall has only slightly more screen time than Muir, but she's quite enjoyable in her limited scenes; I liked that she's more animated in this role than in several other performances I've seen. Peter Lorre is fun as Toni's generous husband. The large supporting cast includes Dame May Whitty, who adds some levity as an old family friend, and Charles Coburn as Florence's father. Eduardo Ciannelli, Doris Lloyd, and Joan Blair are also in the cast. An interesting bit of trivia: at the time Fontaine made THE CONSTANT NYMPH, she was married to actor Brian Aherne, who had played the role of Lewis in a 1933 British production of the story. The movie was directed by Edmund Goulding and filmed by Tony Gaudio. It runs 112 minutes. I'll be sharing information about a future DVD release as soon as it becomes available. Hopefully it will be a remastered print. As the saying goes, watch this space! 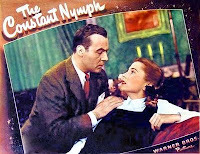 Fall 2011 Update: THE CONSTANT NYMPH is now available in a remastered DVD-R from the Warner Archive. Obviously, I've never seen "The Constant Nymph", and your description has thrown me into that old movie buff's zombie-like obsessive, "Must...see...move". So, it's another "gossamer" film? I don't know if I can take it. Still unable to work up the courage for "History is Made at Night". Thanks for your vote of confidence. 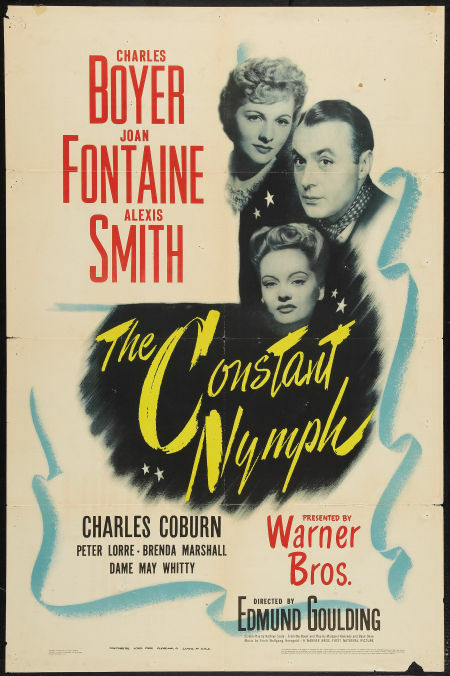 I've seen "The Constant Nymph" on a hazy, dupy VHS copy, so I don't feel like I've really seen it. Can't wait to see it presented in all its glory. I remember being impressed by the acting, especially Fontaine, and that great Korngold score. The aura of mysticism that permeates the movie also left a big impression on me. Finally a DVD release! This is exciting news indeed. Warners' Archive has sure released a lot of forgotten gems lately. Such happy news for the movie-loving world. Should provoke some interesting commentary? Finally watched my copy of this and was blown away by Fontaine. Most I've ever enjoyed her. So glad you enjoyed it so much, Cliff! I really started looking at Fontaine differently after seeing this film. She was quite remarkable. Thanks for letting me know your reaction to it!